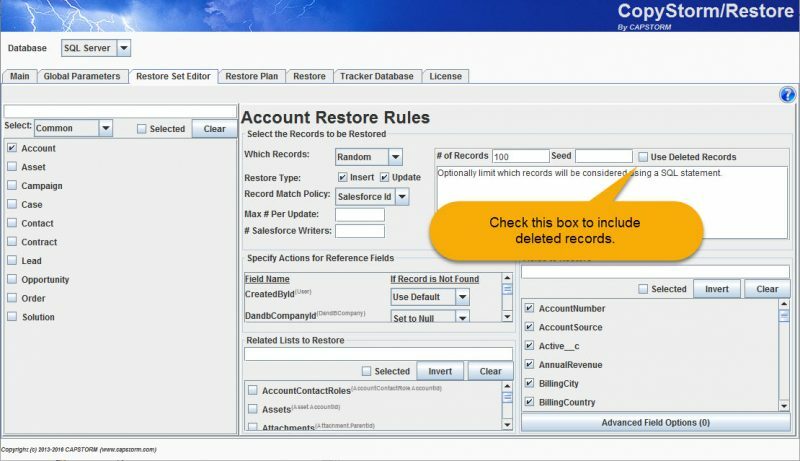 Home/CopyStorm/Restore/Frequently Asked Questions/How Do I Restore Deleted Records? CopyStorm/Restore automatically restores deleted records for all record selectors except for “All” and “Random”. To restore deleted records with these selectors, check the “Include Deleted Records” checkbox. 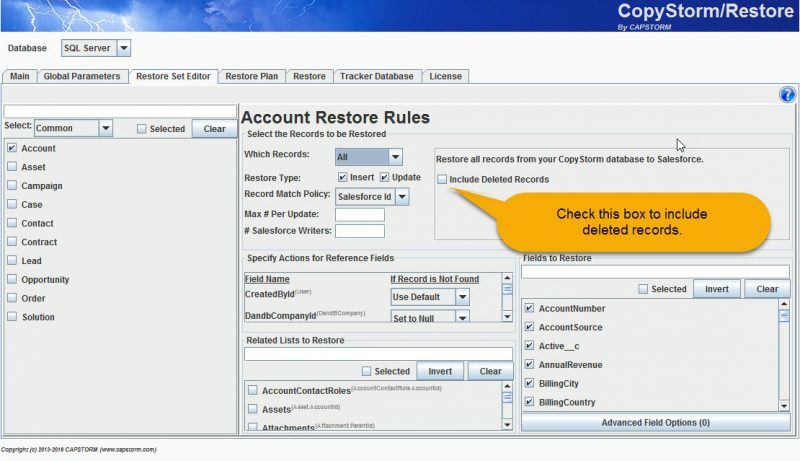 In a CopyStorm backup a record is deleted if the “IsDeleted” column is set to true. There is nothing special about the “IsDeleted” column — it is a normal column Salesforce uses to indicate that a record has been deleted.